Sri Lanka has been a traveller's favorite destination for years. The island presents an unparalleled combination of beauty and diversity. 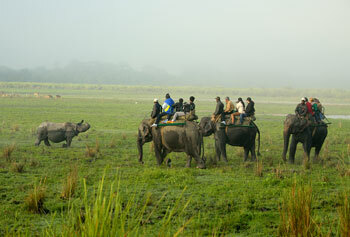 On the one hand, it delights tourists with its refreshing beaches and rich wildlife. 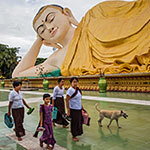 On the other, it engages them with a vibrant cultural heritage which reminds one of the early Buddhist civilization. Main highlights of the Sri Lanka tourism include cultural heritage, festivals, wildlife, adventure sports, food, Ayurveda etc. For beach lovers and honeymooners, the country boasts a palm-fringed coastline which expands over 1600 km. If you're planning a Sri Lanka honeymoon tour, you should never miss popular beach destinations like Negombo, Kosgoda, Bentota, Pasikuda and Kalkuda. A number of fun-packed water sports along with exciting whale watching are other beach attractions in Sri Lanka. 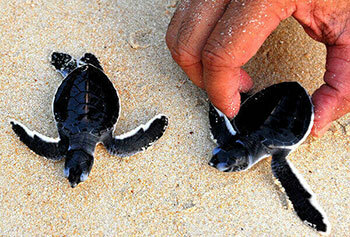 A wildlife tour in Sri Lanka is also one of its kind. The island country boasts around 91 species of mammals and 443 species of birds, and the variety of flowering plants is simply mind-boggling. Yala West National Park, Uda Walawe National Park, Wasgomuwa National Park and Minneriya-Kaudulla National Park must be on your list while undertaking Sri Lanka wildlife tours. However, the total number of protected areas in the country is a lot more - 100. Sightings of Asian elephant, sloth bear, leopard, sambar, red slender loris, purple-faced langur and Toque macaque fill every wildlife enthusiast coming to Sri Lanka with great delight. 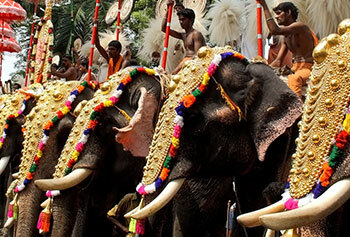 The cultural heritage of Sri Lanka is also a big crowd-puller. The country is home to six UNESCO World Heritage Sites, apart from many other sites of importance. Temples and sites of religious significance are present in abundance. 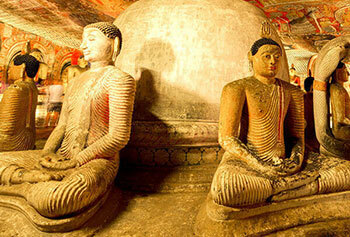 If you plan to explore the art and craft belonging to the Buddhist era, you should head straight to Polonnaruwa. Anuradhapura's ancient ruins are a must visit for every tourist. In any case, you shouldn't miss performances of traditional dance forms in Kandy. Sri Lankan food forms an essential part of the country's culture. While you relish a wide range of delicacies during your Sri Lanka travel, don't forget the very famous 'rice and curry' because it's considered to be the ultimate culinary king there. Sri Lanka has so much to offer that it could easily become overwhelming for you to decide where to go, when to go, what to see and what to do. 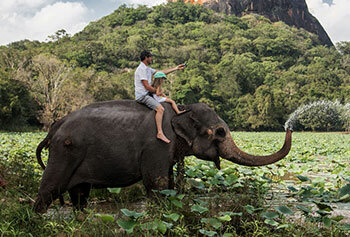 Max Holidays, a premier travel agent and tour operator for Sri Lanka, is equipped with all this information along with plenty of practical advice for an enriching travel experience. Since we know every corner of Sri Lanka really well and keep on exploring to bring you more, we are always eager to rise above commercialized travelling and offer you a perfect holiday in the truest sense of the word. Each one of our Sri Lanka tour packages has been designed to leave you with tons of memories to last a lifetime and can also be easily customized to suit your individual requirements. "We have just come back from a fantastic vacation to Sri Lanka. 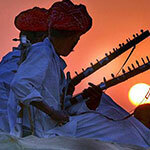 We had booked our trip with Max Holidays and they did a fabulous job providing their best of the services. 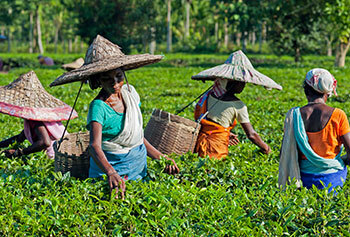 We did South Sri Lanka tour which made us discover allot about their culture and beliefs. The weather was outstanding and I loved the flavour of the food." "I had just come back from a great holiday to Sri Lanka. I went to Sri Lanka with my wife and enjoyed every minute of our stay. Max Holidays has included everything in the schedule as we desired. We were provided with a local tour guide who was full of deep knowledge of the country. A memorable trip!" "A holiday trip to Sri Lanka was a dream holiday and it was so good, we didn’t even expect that much. Sri Lanka is a fantastic country with allot to see and people are very friendly. Our tour guide was very reliable and friendly. He made us discover the place so nicely and was very patient at times. An awesome vacation!"